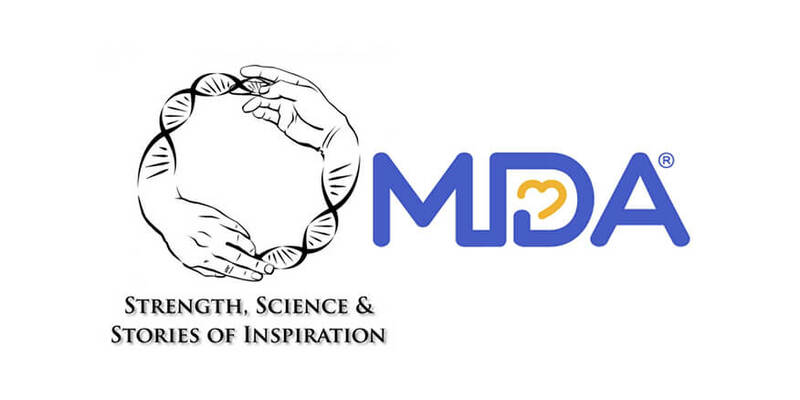 The Muscular Dystrophy Association is pleased to announce that it is once again partnering with Strength, Science, and Stories of Inspiration (SSSI) to support the second SSSI-MDA fellowship. This fellowship, aimed at graduate students and postdoctoral fellows that already have salary support in their existing labs, will provide additional research funding to allow those individuals to pursue particularly innovative, high-risk ideas. For any questions, contact SSSI at strengthscienceandinspiration@gmail.com. The SSSI-MDA fellowship is targeted toward creative individuals with high-risk, high-reward ideas that have the potential to unlock new therapeutic avenues for combating muscular dystrophy. Seed grant money will be used to defray the cost of reagents, not salaries. A successful applicant will be a graduate student or postdoctoral fellow working in the lab of a mentor at an accredited university in the United States, have published at least one first-author publication, and will provide a statement demonstrating that they have secured financial support for the duration of the award period, through either their mentor’s funding sources or other personal awards. Personal statement outlining why applicant is interested in neuromuscular disease research and is applying for the fellowship (1 page maximum). 3-page research strategy, including specific aims (~0.5 pages), significance & innovation (~0.5 pages), and research plan (~2 pages). Expected results and alternative approaches should be included in the research strategy. Although preliminary data is not a required component, applications demonstrating technical feasibility are desirable. Figures may be included but must be contained within the page limit. Margins must be at least 0.5 inches, and font size for text at least 11 (text in Figures may be smaller). The research strategy must not exceed three pages. Document declaring source of funding for salary, signed by the applicant and their associated Principal Investigator (PI). Three letters of recommendation. One of the three must be from the applicant’s PI, explicitly stating that they approve of the applicant applying for the grant. In cases of co-mentorship, there must be a letter from both PIs mentoring the applicant, along with two additional letters of recommendation. Letters must also clearly state how the laboratory will be supportive of the applicant pursuing this line of investigation. Additional letters of support or collaboration can be included in the application but are optional. Expected budget and budget justification for anticipated reagents and a timeline for completing each aim of the proposal (1 page maximum). Optional: Abstract to be shared with industry sponsors (Please see the “Option for all applicants” section). One winner will be awarded a $20,000 grant per year for two years to be used for reagents outlined in the expected budget. A maximum of 10% of the funds may go to indirect costs at the host institution. A progress report will be required at the end of the first year, and a final report will be required at the end of the project. The winner may be asked to describe their work at future Strength, Science & Stories of Inspiration events. For all applicants, with the applicant’s consent, an abstract that does not contain any new intellectual property can be shared with companies that sponsor the fellowship. These companies may then contact the applicant to discuss the potential of collaboration/sponsoring their work if interested. If further discussion between the applicant and company(ies) are to be held, CDAs between applicant’s institution and the company can be set up. This would be the responsibility of the applicant and institution to follow through. SSSI and MDA are under no obligation to facilitate. Including this abstract as part of the application material is completely optional and it will not affect selection of the winner. However, since only one of the proposals will be funded by the SSSI-MDA fellowship, this strategy has the potential to enable more applicants to work on their proposed research. In case the abstract is included, it needs to be accompanied by a written consent of the applicant indicating that they allow sharing of the information in the abstract with the fellowships’ industry sponsors. All applications will be due on September 30, 2018. Funding will begin on January 15, 2019. Please submit applications via email to strengthscienceandinspiration@gmail.com. The winner will be selected primarily based on their research proposal, previous scientific accomplishments, and commitment of the laboratory to support completion of the project. Applications that are especially innovative, and/or provide a path for the applicant to venture into a new direction and secure additional future funding or independence will be prioritized. All applications will be reviewed by an independent panel of scientists. Their recommendations will be incorporated into a final decision by organizers of Strength, Science & Stories of Inspiration, as well as staff from MDA.